front label panel: batherapy sport natural mineral bath bathe away aches and pains soothes tightness and tension from over-worked muscles. changes ordinary tub water into a refreshing beneficial spa-like bath. net wt. 42.4g 1.5oz. instructions: dissolve contents of batherapy sport mineral salts into a tub of comfortably hot water. relax and soak your body in this bath for as long as is needed to bring temporary relief. can be used as often as required for most mild aches and pains. while bathing muscles may be lightly massaged. for external use only. keep out of reach of children. for severe muscle pain stretched ligaments sprains or if aches and pains persist contact a physician. 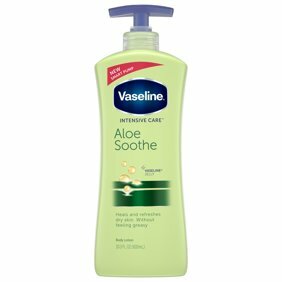 if skin irritation occurs discontinue use. ingredients: sodium sesquicarbonate magnesium sulfate sodium chloride sodium lauryl sulfate water (agua) glycerin mentha viridis (spearmint) leaf oil potassium iodide lithium cloride sulfur sodium edta-copper eucalyptus globulus leaf oil mentha piperita (peppermint) oil methyl salycilate benzyl benzoate eucalyptol camphor mentha arvensis leaf oil beta- caryophyllene menthone glycerin acetal. supplemental facts: with today s active lifestyles muscles may become tight and painful from over-exertion. batherapy sport was developed with this in mind. in a comfortably hot bath batherapy sport soothes tightness and tension while the heat helps to improve circulation and restore range of motion. safe for use in whirlpool baths and hot tubs. Instructions: Dissolve approximately half a cup of Batherapy Sport Bath Salts in a tub of comfortably hot water. Inhale the soothing vapors as you soak to achieve best results. Can be used as often as required. While bathing, you may lightly massage your muscles.